Carefully remove the cover by placing your thumb toward the bottom of the panel and sliding upward. Locate the SIM card slot and insert the card with the gold contacts facing down and the notch to the upper left. 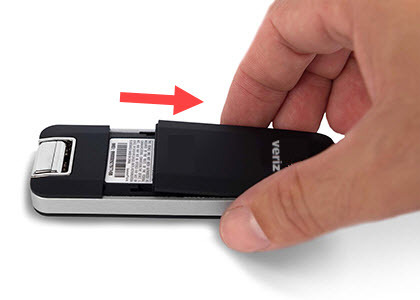 With the card securely installed, replace the cover by sliding downward.